I have my coaches. Do you have yours? And in every case, I have a simple goal: to help my client, you, to achieve a personal and professional breakthrough. In my view, nothing less than a significant breakthrough is worth the effort. Of course many times breakthroughs take some incremental change over time in your behavior, or a modest boost in sales, or even to become a marginally better leader. I coach people like you who want a significant and substantial, dare I say life altering, positive shift in their life and business. The type of breakthrough is entirely up to you. Some want a personal breakthrough—to carve out substantially more time for family, to travel to exotic locations with the family, to expand career direction and success. Others want a professional breakthrough—to triple your sales, to lead a major new project, or to step into a senior leadership position. Curious how to create a personal or professional breakthrough? Micheal ReedCEO at PracticalVR Inc.
Andy is a perfect entrepreneurial leader example who had courage to coach. I could tell within seconds of talking to Andy that his dominant strength was Analytical, a man whose first response was always “prove it.” He wanted proof of any claim. He wanted data and statistics and facts, yet even more facts often wasn’t enough to settle things once and for all. Analytical thinkers can drive other people nuts. The sheer constancy of their skepticism can wear you down. They don’t mean to destroy other people’s ideas—though they often do. Andy craved data because data was value free. Data had no hidden agenda. Armed with solid information, he searched for patterns and connections because without seeing those patterns and connections, he refused to move forward. Why should he, when it was obvious, at least to Andy, that more analysis was needed. The next step in Andy’s career was to start and grow a new video production business. Before he could do that, however, he needed to address one overwhelming challenge. Andy’s biggest challenge wasn’t improving his technical skills, marketing, or even landing big clients. His biggest challenge was in managing perceptions. People often perceived others with a dominate Analytical strength as unemotional, detached, even confrontational. The solution was easier than you’d think. Andy decided to have a chat with his clients. I coached Andy how to better communicate with clients that his analytical approach would often require data and other information to logically back up new ideas they might suggest. In other words, he needed to let clients know in advance that what could be perceived as his overly-meticulous nature, was in fact a highly developed and thoughtful evaluation of the data and not a reflection on people or their ideas. Rather than fight his need for analysis, I prompted him to invite his clients to join him, to embrace his skill at judiciously parsing raw data, and understand that his painstaking methods consistently produced outstanding results. The outcome of all that effort was better than we imagined. 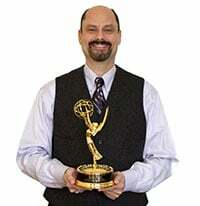 In 2013 Andy produced the video The Art of Lap Ngo, about Vietnamese painter Lap Ngo, and won the National Academy of Television Arts Emmy for Best Cultural Documentary. In 2017 Andy launched the Zig Ziggler: You Were Born to Win documentary after a year of interviewing, writing, and directing. If you are looking for a coach on the journey to your own breakthrough, please give me a call today and let’s talk. Call me right now at 903.819.0301. Curious about how to solve a problem, create success in life, work, or business? Take the next step with me and me as your coach!